From a technical point of view, photographing a bride in her dress can be a challenge … depending on the lighting. If everything is under your control as the photographer, and you’re lighting the formal portraits with off-camera manual flash, then it is essentially a study of the zone system. The simplest way for me then to get accurate exposure, is to use the histogram. I place my brightest relevant tone at the edge of the histogram. All the other tones will fall into place. (It is clearly explained in that linked article, and in my books on flash photography.) In using flash like that as your dominant light source, you simply expose correctly for your subject – the bride in her white dress. Now, when working with ambient light (perhaps with a touch of fill-flash), things are slightly different .. but not really. You still always (or nearly always**), need to expose correctly for the bride’s white dress, making it the brightest tone that you want to capture detail in. For this article, we’re going to look at exposure metering for available light. The same thought-process can be applied to flash or other additional lighting, but just for simplicity of explanation, let’s just stay with available light here. So, looking at this portrait above of Jill, a bride whose wedding I photographed, you will notice that there are darker areas in the frame (towards the bottom), and there are brighter areas to the top … and then of course, a striking looking bride as our subject. In white. This is where using an automatic metering mode on your camera, such as Aperture Priority (Av) or Program will most often fail you. Your camera – even with Evaluative / Matrix metering – will meter for the entire scene, including your subject. Even though Evaluative / Matrix metering will give weight to different areas of the frame, and try to get to the best compromise exposure it can figure out according to the camera’s built-in metering algorithms … it’s still guessing at what you’re trying to do. Here’s an example of the camera set to Aperture Priority, and left to its own to calculate the exposure. The bright areas in the frame fooled the camera’s meter into under-exposing your subject. This is a crucial distinction we need to make – we always (or nearly always**) need to expose correctly for our subject, not the entire frame. You may have noticed the (**) there – the “nearly always” qualifier. 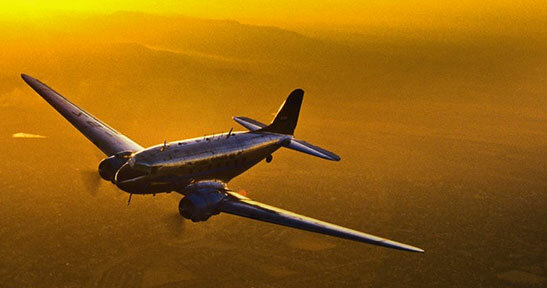 Often enough, there are different considerations than exposing just for your subject. A recent example would be the couple photographed against the ‘neon sky’. So there are exceptions to the general advice to always expose for your subject. That is something we as photographers need to decide as to how we’re going to interpret our subject & scene, by our choice of exposure settings. Back to the portrait of Jill. With the strong back-lighting, I had to meter for specifically for my subject. NOT the scene. Unless, as just mentioned, I wanted a silhouette effect. Or something similar, such as under-exposing my subject to an extent for a specific mood that you might want to create. It depends. But generally, you expose for your subject. And here, I wanted the shaded side of our bride (and her dress) properly exposed. The linked article about how I use the histogram to figure out exposure metering, makes use of the idea that the right-hand side of my histogram shows the brightest detail that I can capture. That would be the white dress here. But you should notice, that every part of the dress isn’t at the same tonal level. The area of the dress at the bottom of the frame is darker. There is also rim-lighting where the edges of the dress blow out. So, without additional lighting here to even it all out, there is no way to capture ALL of the dress as the same tonal level. We have to make a decision as to what part of the dress we’d want to capture and place correctly as a bright tone. This then, would be the top-most part of the dress which has the same kind of light, and same intensity light that falls on her face. Using the histogram method, and using the camera’s built-in meter reading selectively … I point my camera at ONLY the brightest part of my subject. – use the camera’s spot-meter. Now in the same way that the camera’s built-in meter was fooled by the bright background, I can’t simply zero my camera’s meter while in manual. I need to keep in mind WHERE / HOW I want to place the white tone. Depending on the camera make and model, I will shift my exposure between 1 and 2 stops in exposure up from where the needle is zero. For the Canon 5D, I found that +1.7 stops (5 clicks on the display / camera controls) will do the trick. For the Nikon D3, it is around +1 and +1.3 stops (3 or 4 clicks up.) This is something you need to figure out for your camera. You HAVE to be familiar with your camera’s controls, and how your camera’s meter works and responds. Here is the screen-grab of how this RAW file looks in ACR / Lightroom. The red areas are were the RAW editing software is warning me that I could be, or am, losing detail. Where there is rim-lighting, I will lose detail. But this doesn’t bother me, since this is what makes it rim-lighting – some area around the edge of my subject that is bright enough to lose some detail. Where the background is over-bright, I will lose detail. Once again, this doesn’t concern me here. I’m not a landscape photographer. I’m a portrait / wedding photographer. My SUBJECT is all-important. Not the background. The background is merely context or something interesting to place my subject against. Where I’m losing detail in the veil, I will (and did) attempt to pull back a fair amount of detail with the local (exposure) correction brush in ACR / Lightroom. Oh, and here are my camera settings. Yes, do note the qualifier there. Nearly always. But there is a method to it, and consideration of the proper tonal placement of the white dress, and subsequently, the skin tones. All of this also ties in with a question that Mark Smith sent in. Mark was concerned about the histogram in this image bunching up to the right. Yet the dress looked fine with no blinking highlights showing that there might be loss of detail. So coupling this with the preceding explanations, I’d say the exposure here is perfect, and we can’t gain anything useful from the overall histogram. I would be guided by the blinking highlights (and perhaps numerical values of colors in Photoshop) of the dress. That would show perfect exposure. And this would imply perfect exposure for the skin tones that are important – the bride and groom’s. Mark was also concerned that this following image showed 1.5 stops under-exposure, but the dress was blowing out. Going by the previous explanation again, the meter reading might well show under-exposure … but this isn’t relevant, since the meter reading is for the entire scene. 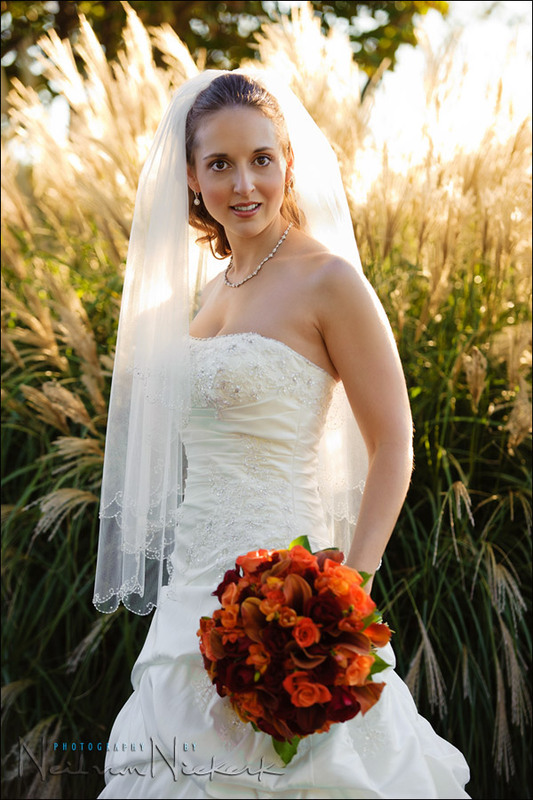 And what we are interested in, is correct exposure metering for our subject – the bride. The dark trees and foliage and black tuxes are influencing your camera’s meter here. What we really should be looking it is correctly exposing for our brightest relevant tone – the bride’s white dress. Hopefully this article ties a bunch of different concepts and photography techniques together into something that makes sense, and offers us a coherent method. A consistent method of approaching our exposure metering. Exposure metering technique is a topic too complex to cover completely in a single blog post. 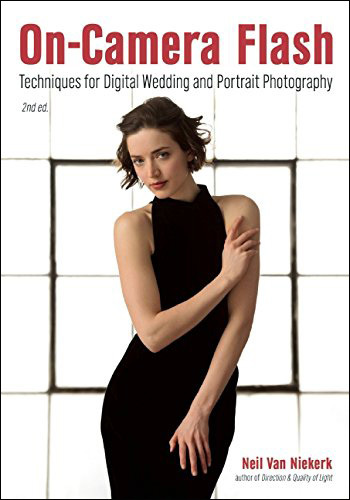 Besides, the definitive introductory book on this is readily available: Bryan Peterson’s Understanding Exposure, 3rd Edition: How to Shoot Great Photographs with Any Camera. 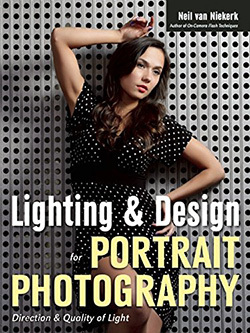 If you struggle with exposure metering, then I strongly suggest his book. great neil as expected every time visiting your tangents article. just a perfect lesson which covers all (or mostly) items needed. thanks for your patience to teach us “lighting”. 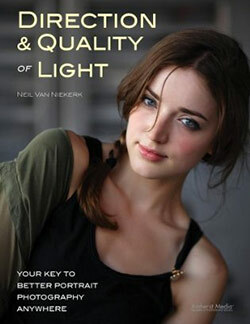 Another excellent article Neil with solid advice on maximising chances of success in challenging lighting situations. I’m and avid follower of your blog but haven’t commented before. Having recently increased the number of weddings I photograph, your help and advice has been invaluable. I’m always recommending your book too, which is a “must have” and a great read cover-to-cover. Thanks for covering one of the most fundamental principles of photograph in an easy to understand way. I think for me I take reassurance and confidence from reading this that every image needn’t have perfect exposure and tonal value to be deemed ‘correct’, and that it is a subjective decision on the part of the photographer, and as such, in this instance it is ok to allow the background and other areas of lesser importance to blow out or go into deep shadow. Great blog as usual. Sorry going off topic but can you let us all know at what booth and at what specific date and time you will be at the Photo Plus show NYC ?? Thanks Neil. Just to clarify…you’re adding EV via the camera to arrive at the exposure but if you add flash to the mix then Nikon cameras the flash would pump out that +ev value as well. So are you compensating with the flash by using -fev to simply flick a little fill in there? Paul … I don’t quite add EV in the camera. I shoot in manual exposure mode. So I bias my exposure by placing the exposure meter needle where I want to. In principle the same as dialing in EV, but using manual mode is simpler, and consistent and constant. So now there is no Exposure Compensation to affect the TTL flash exposure. However, I do sometimes adjust the EC to affect the flash output because the D3 doesn’t have an FEC button. But, the ambient exposure remains the same, since I am shooting in manual. But this brings us back to your question … yes, with Nikon the EC and FEC is cumulative. With TTL fill-flash, I simply dial down my FEC. I hope the answers your question. While I’m not a wedding photographer, I’ve been puzzling over something quite similar. Photographing football players. While they are often in white uniforms for the session, they could easily be in any color. Yet I want a way of determining the exposure to get consistent even though the uniform color/brightness and skin tone may vary significantly. Photographing a white player in a blue uniform, an asian player black and a black player in white has my head spinning. I’m not sure what to key off of to get consistent results across many players. Do I start with a gray card and shoot everyone based on it? Dan … either a grey card, or a hand-held meter would be your best options in giving you a solid reference point for the available light then. Neil, lately I’ve been relying more on the spot metering mode on my Canon 7D to better isolate metering to the areas of interest on my subjects (e.g. wedding brides), and it’s been working great most of the time. I’m particulary interested in its ability to help make off-camera flash exposures in E-TTL mode more consistent. Of course it all depends on the scene, but do you find spot metering helps make your E-TTL flash exposures more consistent? Frank .. I don’t use spot-metering when using flash, so I can’t really comment on that. A question, do you use some way to lock the TTL flash exposure when you use spot-metring? Or is your spot-meter just aimed at whatever is in the center of the viewfinder? Thanks for that breakdown. My question is, did you use fill flash or a reflector on the bride? It appears that you did use some fill, but I did not see where you described the setup. Thanks again for all your sharing. I did in fact use a touch of fill-flash here. This is the clearest and most comprehensive article about exposure metering for the most relevant tone in ambient light you’ve written so far. This content should go into the next edition of your on-camera flash photography book. While you do talk about the same ideas in the book and in older blog articles, I strongly believe that your writing style has also evolved over time to write clearer and better articles like this one. Excellent article! This is one of the best articles I have ever read on ‘exposure’. Also, this is one of the best articles I have read here. You seem to make these things extremely easy. You are one awesome teacher. Hats off to you. As I said before, you are a wizard with 2 hats. No more words. Stephen, Naieem and Dragos and in fact, everyone … thank you for the kind comments! Neil, thanks so much for using my raw photos are a example of great explanation of metering. The histogram was actually a mountain on the way left, very dark image with a few bunching spikes on the right. As far as blinking highlights go, the first photo which I thought was underexposed did not show any blinkers but the 2nd shot had blinkers all over her dress, its amazing what a difference 1/240 sec makes. I was able to use PS highlight recovery to bring back some of the 2nd image. A couple things I learned from this wedding, never trust your lcd while shooting because mine showed a “too very dark” image, when I brought it into the full size calibrated monitor, I realized I wasnt as bad as I first thought, I trusted my blinking highlights for her dress and thats what I shot for. Question, what kind of numbers are you looking for in photoshop for perfect white exposure or what numbers for SKIN TONE? Thanks for all your help, I’m a daily reader and trusting user of your techniques, I’m humbled to your genorousity in using one of my images for your example. Thanks again for letting me use the images. Re numbers … skin tones vary too much to be able to use numbers in Photoshop. You can use this with some purpose when you are looking at tones which are white .. but I doubt you could with skin tones. Neil, to answer your question, it depends on the scene/subject. Sometimes when using spot metering and off-cam E-TTL flash, I’ll lock the exposure and recompose, other times I don’t. The main difference I see with spot versus the other metering modes is consistency. Even though I still need to selectively use FEC to adjust the E-TTL exposures when necessary, the amount of FEC required seems to vary less from shot to shot when using spot metering. It’s certainly not perfect, but I find it helps in certain situations…give it a try and let us know your results. Btw Neil, my camera’s in manual mode (Canon 7D) and the flash is in E-TTL II Evaluative mode (Canon 550EX), so setting the camera’s metering mode to spot shouldn’t make a difference to the E-TTL flash exposure…go figure. I had a tough situation this past weekend. The groom portraits were being shot inside the dark church and he was wearing a deep purple shirt and tie – no white to meter off of. He is caucasian, so I had to balance the dark tux with his light skin tone. Most shots resulted in a disembodied head floating in black space. Is there a corresponding technique you use to preserve shadows (i.e. darkest relative tone). Would you recommend I meter off of his skin tone for the brightest relative tone? I don’t want to struggle like this again in front of the client and I could use your advise. Matt … I would definitely then try to place his skin tone at close to the brightest value on the histogram … and then control everything else in post-production of the RAW file. But it can be tough when you’re in an uncontrolled situation, and shooting dark / black tones against dark tones. Hi Neil! Great article! Thanks! Somewhere above you said you don’t use spot-metering when using flash…even when metering the bride´s dress you use evaluative, matrix metering? In which situation would you use spot-metering? I would use spot-metering for selective exposure metering. Great article Neil – yet another ‘Aha’ moment from you – thanks. 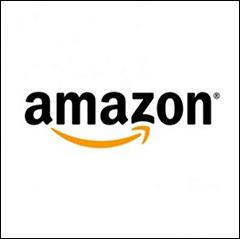 I’ll get my Ansel Adams book – The Negative – out again and re-read the section on the zoning system he used. I am currently taking a wedding course and I am totally confused but after your article I am getting closer to understanding. I was wondering if the orientation of the camera or zoom length of the lens will affect my spot meter? If you are in shade do you still need to use the spot meter on the brides dress and open up by 1 to 2 stops? You indicated you could zoom in instead of using the spot meter. I assume then you would be on evaluative? My teacher had us use the spot meter and get close to the bride to fill in the frame with the dress, did we actually have to do both? The orientation of your camera (horiz / vert) won’t affect spot-metering, but it could very well affect evaluative metering (because your composition now changed). Whether your subject is in shade or in brighter light, the same thought process remains in place. You want to elevate the tonal value of “white” over that of a medium / average grey. This is true, regardless of the actual exposure settings on your camera. I mostly just shoot in evaluative metering, but I do meter selectively, by coming in closer or by zooming in. This makes sense to me for ambient, but not for flash. If the flash was just a fill and dialed down significantly, then I guess it wouldn’t increase the exposure and blow out the dress…but what about exposing for the background and using the flash for the bride/dress? 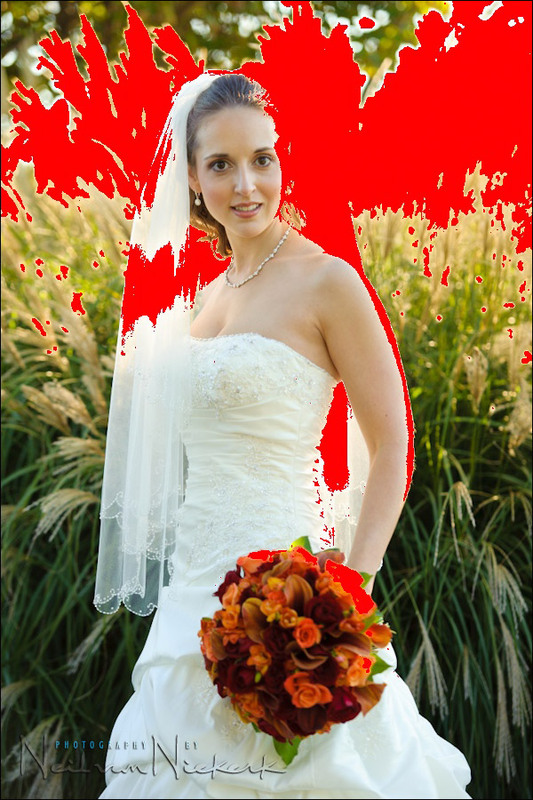 What if we want the bride exposed correctly as well as the background to some extent? The metering method wouldn’t work in that case because the ETTL flash is going to do whatever it wants to get the exposure where it wants it. Then the flash would underexpose the bride due to the bright background? Sorry, I’m getting confused. This blog post’s technique does not work for TTL/E-TTL flash. If you want the background correctly exposed in this example, that means your subject is underexposed. TTL/E-TTL flash will try to expose the bride properly, but you’ll have to adjust the FEC of the flash, because you may not get the dress properly exposed as white on the first take. You have to look at the histogram after each shot and see if you got the picture correctly. If you want to have full control of both the background and subject using flash, you have to go into manual flash mode. Do you think you could still do the zoom in histogram (to check exposure, not for metering obviously)on the dress only if you use manual flash, then zoom out…or would that work only for ambient? Zooming in on your target area, taking a picture, and then using the histogram to verify your brightest relevant tone (white in this case on a bride’s dress) is only 100% guaranteed to work in ambient light only or manual flash. It works in ambient light only, because the only light you have is the ambient light (i.e. sunlight). It also works for manual flash, because you set the flash power, and it never changes between shots (unless you change the flash power later). TTL/E-TTL uses an algorithm to calculate the amount of flash needed to expose the subject based on what it sees in the viewfinder. Occasionally, the metering will get fooled (i.e. the sun and clouds change ever so slightly, so the light falling on the brides dress is no longer the same metering as when you zoomed in to meter), and the TTL/E-TTL will dump too much or too little light. That is why Neil says in his blog and books that if you use TTL/E-TTL, you can only use the histogram to verify if the shot you just took is correctly exposed. You cannot use the histogram to guarantee that the next shot will be correctly exposed. You ma have to adjust the FEC on the next shot. With ambient and manual flash, once you verify the exposure in the histogram, you don’t need to make any changes to your settings, because the lighting is always the same (i.e. On a clear day, sunlight changes in intensity over a day, but the intensity between 12 noon and 1pm is negligible, so for all intents and purposes, it’s constant light during that time frame. This is why you can use the “zoom in, take shot, verify in histogram” technique in ambient light only). Backgound: practicing shooting indoors with a D700/ 50mm 1.8, under tungsten light I set the ISO at 800 and focussed on the white dress, spot metering while I reset to EV 0 by dropping the shutter speed from 160 to 100 (aperture was already at 1.8). To increase the value by around 1.3 stops, I was limited to adjusting my shutter speed, which left me shooting around 1/60 or 1/30. Q. In that situation is it smarter to increase the ISO when spot metering/ resetting to EV 0, which will leave me shoot at a more sensible shutter speed? Q. Once I have set the white dress near +1.3 stops, is the idea to then shoot without compressing/holding the spot meter button? 1. Use flash, since the light levels are so low. Alternately, if you need to shoot with available light, then bump up your ISO. It is easier to fix high-ISO noise, than it is to try and fix blurry images. 2. Shoot in manual exposure mode. No need to keep buttons pushed in. so I`m little bit confused. When you work without flash – it is simple – you`ll have to meter on your subject. 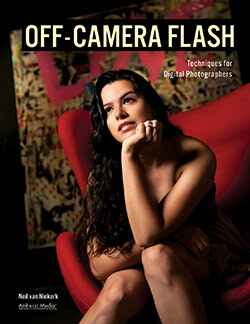 But when you work with on-camera flash you`ll meter on your subject or on the background ? 1. Is your flash meant to be mere fill-flash (at say -2 FEC)? Then you meter for your subject. 2. 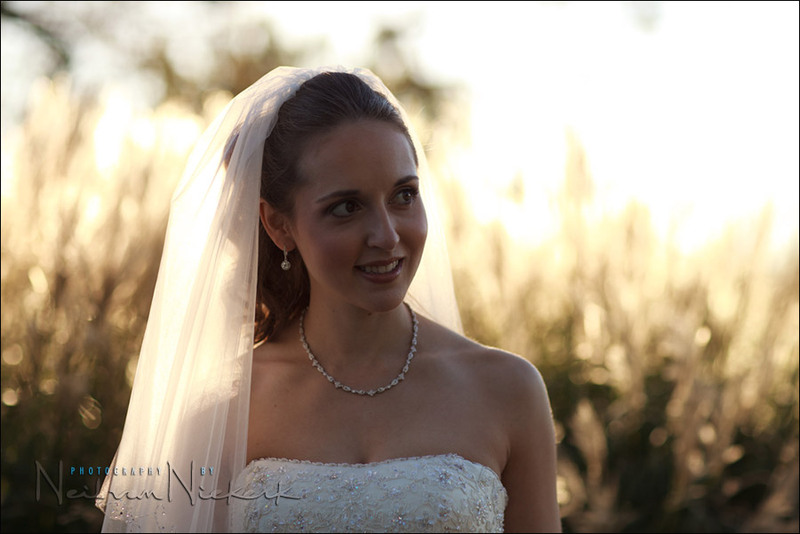 Do you need to bring up the exposure for your subject (the bride) to that of a much brighter background? Then you meter for the background, and use enough flash. This option generally doesn’t look all that great with direct on-camera flash. Off-camera flash is much better. Inbetween those two broad scenarios, you have many other options of course. But that should explain the general approach. But you use histogram method, when using off-camera flash ? Quite often, yes. But not necessarily. Ok, so correct me if I`m wrong. Thanks for this great article!!! For weddings where you are trying to capture in a photo journalistic style. Do you still spot meter? How about spot meter in AV mode with Exposure locking? I feel like using spot meter would make me miss shots. How do you balance the speed vs the moment? I’ve toyed with exposure locking on the fly and its much faster than turning the dials but still gives the benefit of using spot metering. Thoughts? I mostly use Matrix / Evaluative Metering. And I only shoot in Manual Exposure mode. For speed – keep your camera handling consistent, and simple. I feel that the more you fudge with the controls, the less you can concentrate on your subject. I find that with most situations, the light doesn’t change that rapidly. When the light does change rapidly, for example with clouds moving in and out quickly – giving us alternating sunlight and cloudy light – then we’ll have to change our approach a bit. Then it might be easier to meter and memorize the camera settings for the sunlight, and for the cloudy cover … and then switch the controls between. Or … shooting in Aperture Priority, and adjust your files for exposure in post-processing. I’m not convinced that using spot-metering then would be a good idea … you’d have to make sure your spot is on the bride’s dress … and this might compromise your compositions. So then I do think that using Aperture Priority, with your camera set to Matrix / Evaluative metering, might be the best option … and then rely on the RAW file giving you enough latitude. Thanks for the feedback. With the exposure locking at least on my 5d3 I can point at a white object hit * on my camera next to af on and it will hold the exposure until the viewfinder times out. Thus allowing me to recompose and focus with a locked exposure for few shots in succession. This is what I was referring to. Haven’t done too many weddings yet but trying to get into more of them. I’m finding Matrix /Evaluative too unpredictable but might be lack of experience using it. Too many times needing a swing of exposure up and down and on top of that being biased towards the focus point. Maybe too much of a control freak but I like to nail it in the camera. I’ll practice and see what I decide. Any particular reason, or set of scenarios why you don’t just shoot in manual exposure mode? It would seem the simpler option for you here. 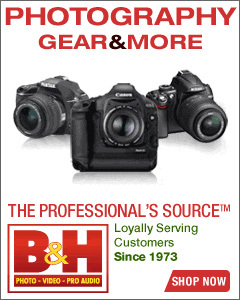 I discover your Website by 2 videos that you made at the B&H space event, that I found really great. I just can tell how much I thank you for all your advices and tips… they’re no words (and not just because am French, and that everybody knows that we are terrible in English ;) ). I literally eating your blog right now, and learn so much. However, I put my first comment in this article because am a little confuse about founding the right exposure for a wedding dress, specially when using your bounced flash technique. I think that I get the histogram method for the dress exposure and I done many tests with good success one of my daughter’s black and with cuddly toy in ambient light. Where I am in trouble it’s when I try to mix that with bounced flash. I was wondering, how do you manage to keep correct and consistent exposure, on THE white dress, with bounced TTL flash, in the condition of the reception or dancing. I mean if your exposure is lock for ambient light, and that you are frequently moving your position (and by that your “bouncing point” => TTL measure), do you adjust permanently your TTL exposure compensation for that? Do you control the result with the histogram, or the back screen, for adjusting? Once again thank you so much for all that stuff that you share with us. Using the histogram like this makes most sense when working with a consistent light source such as either ambient light, or manual flash. Then you can see what the exposure will be like, with regards to how the whites are positioned on the histogram. With TTL flash, this is less easy because TTL is an automatic metering mode. In the example here, the light doesn’t change. Therefore I can determine my exposure settings via the histogram. With a wedding reception for example, where you are bouncing flash and have people and different colors and tones there, then this method of using the histogram to check exposure BEFORE-HAND, doesn’t apply. Then you’d just shoot and chimp to see that you more or less nailed the exposure. So during the reception, and with party photos, I don’t use this method of determining (TTL flash) exposure beforehand. You do adjust your FEC as you shoot if you see that your scene will be predominantly darker tones, or lighter tones. This is explained in the article on Flash Exposure Compensation. The histogram method doesn’t particularly apply then. This is a nice way of saying that you’re over-thinking it – with that part of the wedding, shoot and then check exposure every now and then. Thanks a lot for your clarifications. I see more clearly, now, when and how use the histogram and the FEC, depending on the situation. I am going to read the article about the Flash Exposure Compensation, as soon as I can. I am confused with the two exposures (ambient and flash) and the bride’s white dress. 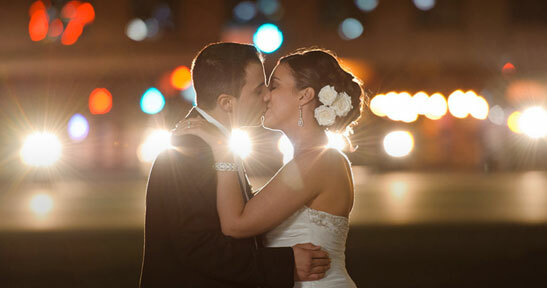 If the flash is the main light source the bride’s white dress has to be achieved by the means of the flash’s FEC. In the case of mere fill flash I have to get the white dress with my ambient exposure, I’d guess. What if I bounce my flash? If there is only little ambient light to register, will the white of the dress have to be achieved with the flash’s FEC? And if there is much amient light to register, will the white of the dress have be achieved by the means of the ambient exposure? Mo … go through this tutorial on the various scenarios in how we balance flash with ambient light. It might solidify a few things for you, but you do have it correct there in your summary. Now, when you bounce flash, nothing much changes in your approach to balancing flash and ambient. It’s still the same thought-process. Of course, you could always invest in a light meter and measure the ambient with the click of a button and be done with it – with perfect exposure and a perfect white wedding dress. It amazes me how many people will cough up 5K for a camera just to struggle with the reflective meter it uses, but won’t drop another $400 for a good light meter that will get the instant correct exposure with an incident reading, especially for weddings where color accuracy is a must. If you must spot meter, kick up your exposure to zone 7 for most cameras to place a white wedding dress in the proper zone. You could do just that – use an incident meter. It’s a wise way of working. However, look at the 2nd example of the couple during the ceremony. You couldn’t really go up to them to take meter readings every time the light changes (with clouds moving). You would have to understand tonal placement then, and use your camera’s built-in meter. 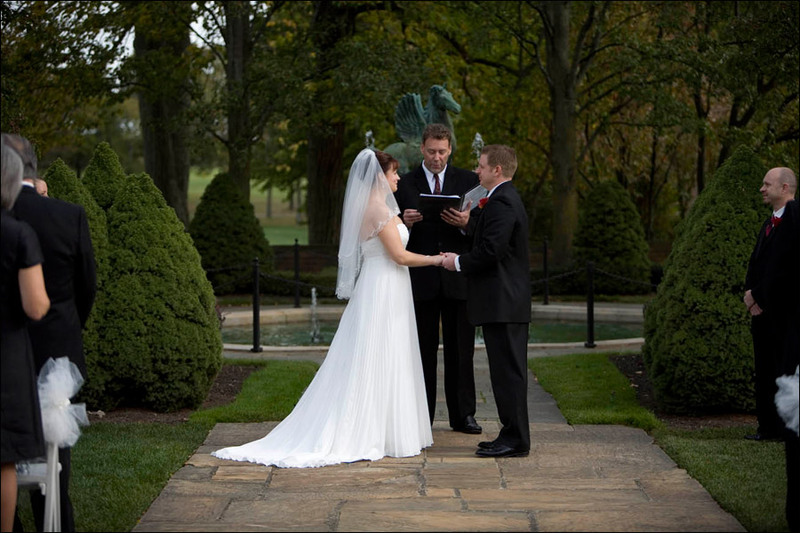 Using a hand-held spot-meter is also too cumbersome for a wedding ceremony. The easier and better way is to understand how your camera’s meter works.